A very successful “Battle of the Bridge” was hosted by Browns Bay Bowling Club on Sunday 2nd December. 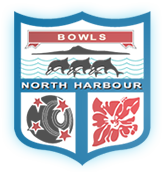 Although the results did not go in Harbour’s favour, there were some excellent bowls played and enjoyed by all. Feedback from players and team management has been very positive about the ‘Ryder Cup’ style format that was used (thank you to Wayne Wrack for this initiative). Players and managers also stressed how impressed they were with the greens, the umpires and in particularly the markers. Pennants Cancelled Saturday 1st December! !